Google Chrome is starting to lose popularity. 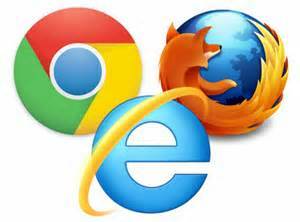 Are you using more than one browser to surf the web? If you are, you are not alone, according to market research the number is rising. Why? Some websites simply perform better on one browser than the others. No one browser is a clear winner on every website. The reason being is software developers design and test websites more with the browser they prefer. This results in less thorough optimization with other browsers. Some websites just simply will not work on all browsers. The result is having to remember which site works best on a particular browser, this can cause pain (just like trying to remember all of your passwords). Why do this to yourself? The solution is to have a smart application do it for you with a minimum effort. BookSmarts imports your favorites and bookmarks from the browsers you use, and remembers to which browser they belong. Just remember, it’s okay to use more than one browser. Take a look at some of these statistics. Run the setup file that was downloaded from firefox.com, wait for the files to extract. Once the files are extracted, look for a folder at the end of the list. In the folder there should be a file named setup.exe, in its properties you will see that it is the Firefox installer. Copy the contents of the folder to your scripting directory. You can then run setup.exe -ms to run the silent install.